Garver has been named a Gold Well Workplace by the Wellness Council of America for its dedication to a comprehensive, corporate-wide wellness program that promotes quality work-life balance. Garver was one of 21 companies nationwide to be recognized at the Gold level, and it is the first Arkansas-based company to ever earn the distinction. WELCOA, one of the nation’s most-respected resources for building high-performing, healthy workplaces, scored Garver the highest in three categories – administrative support, use of data to promote healthy living, and creation of a cohesive wellness team. “Through coordination across all levels of the company, we have created a cohesive wellness network that helps our employees thrive,” said Wellness Coordinator Sarah Eanes Palmiero. “The best part about it – there’s something for everyone. Wellness is not just physical. 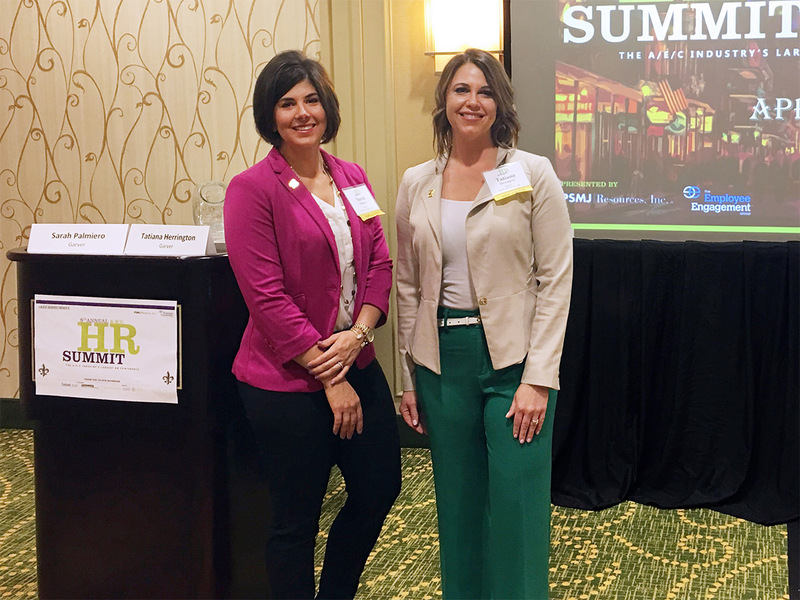 It’s also the financial, mental, occupational, and social aspects that make up a quality lifestyle.” Sarah and Director of Human Resources Tatiana Herrington recently returned from the PSMJ A/E/C Human Resources Summit in New Orleans. At the event, Sarah and Tatiana shared the history, mission, and accomplishments of Garver’s wellness program. "We have created and implemented a long-term, high-impact wellness program that measurably improves the health of our employees, reduces long-term health risks, and promotes a culture of well-being in all aspects of our lives," Tatiana said. "The program helps keep health care claims lower than the national average, which helps Garver to continue offering quality care to its employees and their families." The conference presentation highlighted how Garver started and maintains the wellness program. The presenters detailed how conference attendees can develop a concept, implement strategies, and gain executive support when creating their own program. It also allowed Sarah and Tatiana to share successes and lessons learned that are now and have been a part of the Garver environment for a decade. "I think it is fair to say that others within Garver appreciate the wellness program and this has helped create a true family culture," said Mike Ebeling, Construction Services Team Leader based in Garver's Round Rock, Texas office. "I have worked in many large corporations that stress culture, and they all pale in comparison to Garver." Garver again named a Zweig "Best Firm"